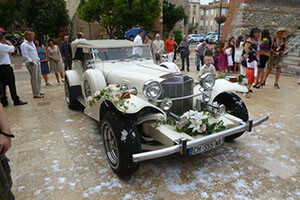 Excellium Limousine, located in the south of France, offers the finest luxury car service you can find. 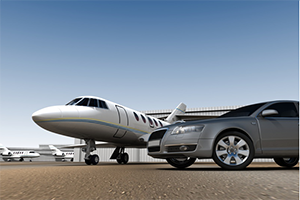 It is a pleasure to provide you with cutting edge transportation services, a large fleet of vehicles to fit all your needs, BMW, Mercedes and similar sedans. Our professional staff speaks fluent English and we have the capability to offer all kinds of reliable services to make your stay in France as comfortable as possible. Our limousines are the best choice to drive you all over France and neighboring countries. We can pick you up or drop you off at Nizza or Cannes airports as well as local train stations.. Do you need to organize a wedding or a corporate event? A ride along the Mediterranean sea? A long weekend on the Riviera? Do you want to get a rental car to transport you to Megève or another famous ski resort? Excellium Limousine service will give you the comfort you deserve and offer you world-class service. 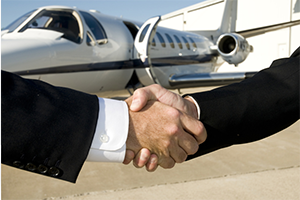 Whether you need a transfer to/from the international airport of Nizza, Lyon or Marseilles our shuttle service will pick you up and bring you back to the station, the heliport or your departure hall. Your chauffeur will always meet you on time every time and will transport you to your conventions, to the Cannes Film Festival, to all the other trade shows you have to visit in the South of France and in the Provence-Alpes-Cote d’Azur area. Whatever the occasion, a wedding or bachelorette party, a birthday or Bar Mitzvah, a New Year’s or private party, Excellium always has the right car for you, making every event exceptional and unforgettable. Are you looking for the best way to take your family on a sightseeing tour of the South, take them to Nice or Hyères, or visit museums in Geneva or Bern? Are you looking to take them skiing in Courchevel or Megève? Our winter-equipped luxury cars will transport you to all your desired ski resorts. You can also book your chalet, hotel room or suite as well as your ski equipment rentals through us. If you want to enjoy a long weekend by the sea, tell us and your private driver will pick you up at the airport or train station. You can be dropped off at your destination. . Are you looking for a famous private chef to cook for you and your business partners? Just ask us and we will arrange that service for you. Our fleet of luxury cars is the embodiment of class, elegance and comfort.. Each sedan is equipped with daily newspapers and soft drinks. We feature the latest BMWs, Mercedes S/E class or Viano, Volkswagen Caravelle or Phaeton. They are the preferred vehicles because of their high safety standards and reliability. 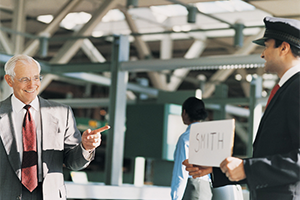 Our chauffeurs speak English and French. They take great pride in their work and are safe and punctual. All drivers meet the French licensing standards. They have been hand picked to always drive with a smile and present the perfect look. We work with exclusive services to take care of your accommodations as well as every other special request, be it the renting of a villa, a yacht, a private plane or helicopter. We also arrange private shopping at exclusive luxury boutiques.